Content first. Content is King. Content, content, content. We in the digital world have heard these maxims so often they’ve lost meaning — the irony being that despite the ‘content everything!‘ seeming-enthusiasm, few digital agencies actually believe in it. Why? If dev is the musculoskeletal system/vital organs of a site, and design the face — then content is the voice. Now (in this analogy), can you live without the first two? Not really. Can you live without a voice? You can — but you’d be pressed to connect with your target audience without one. To put a site together, you need a development and design team fluent in HTML, CSS, Python, et al — you don’t need content to have functionality. And even though agencies have dozens of talented people you can write ‘full-stack’, it’s an anomaly to have someone on staff that can just write. Yes, you can cut and paste and play Madlibs with boilerplate writing for your blogs, body content and H2’s — which many organization do, unfortunately. Or they curate other content, with varied results. There’s so much care and focus with the interface and aesthetics of site-building, while the content’s often barely an afterthought. At WDG, we want to prove all the ‘content’s the best!’ one-liners to be true — beyond the Herculean task of overhauling our own site with a brand refresh (WDG Case Study), we’ve also rewritten (nearly) all the content on WDG.co, along with more prolific blogging and our digital agency-insider podcast, WDG Presents: Feedback. Words matter. 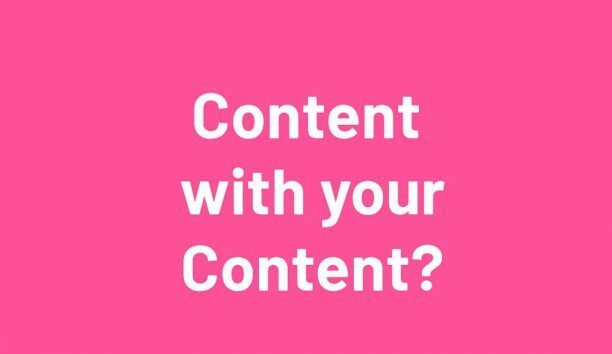 Content matters. One’s voice matters. We welcome you to listen to ours.